With more than a hundred fabulous items each year, all from generous donors, the 2018 Benefit Preview Catalog is great fun to look through! 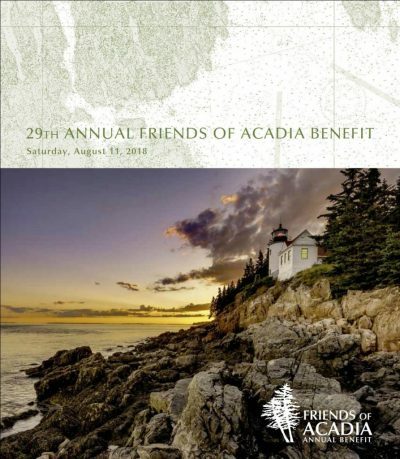 And bidding on auction items is a fun way to support Acadia National Park. View last minute additions to the auction in the Catalog Addendum 2018. Bids may be placed at the Benefit Auction event on Saturday, August 11, 2018, or via absentee bid until Friday, August 10, 2018 at noon.